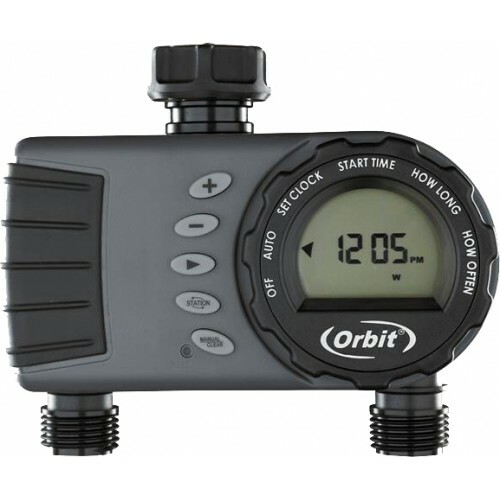 The Orbit 1 Dial 2 Outlet Tap Timer will turn your garden tap into a programmed sprinkler system in minutes. No more dead plants because you forgot to water them. No more soggy lawns because you forgot to turn the water off. Just set the timer and go! With a large digital display, oversized dial, and simple controls, programming is fast and easy. Built with high quality materials and water-resistant construction you can count on many years of dependable service.